Anyone who thinks our contemporary world is overrun with lawyers may be reassured (or depressed) to know that the Middle Ages had it just as bad. Blame it on Bologna, or specifically, on a man named Irnerius, the noble forebear of all the tribe, born in this city around 1055. Irnerius was hardly the ivory tower sort of scholar. In his day no one could afford such a luxury; there was serious work to be done. In fact Irnerius was a protegé of the great medieval Countess of Tuscany, Matilda of Canossa; it was she who first convinced him to take up the study of law and then made good use of his talents in diplomatic missions, although after her death Irnerius went over to the other side, serving Emperor Henry V.
But both sides had an interest in common: reviving Roman law to replace the many conflicting local codes, such as that of the Lombards in northern Italy, which were commonly based on archaic German tradition and feudal rights. In those days any man had the right to be judged according to the law of his birthplace, residence or station, which might be Lombard law, Byzantine law, or canon law if he was a cleric; the confusions are only too easy to imagine. The growing comuni, including Bologna itself, had an even greater interest in reform, since the Germanic codes were made for a rural population, and had nothing useful to say about city rights or the regulation of commerce. All four were already acting as advisors to Emperor Frederick Barbarossa, following the eternal principle of civilization: where there are smart lawyers, there’s power and money too. 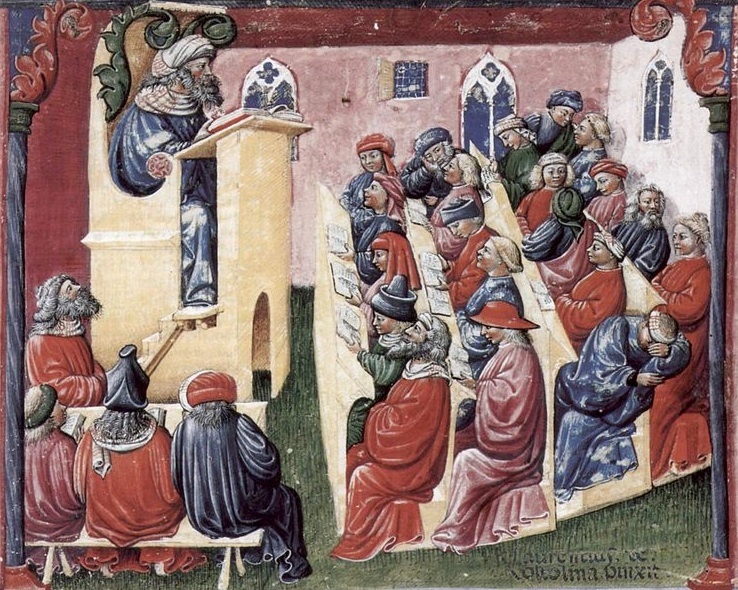 No profession was a surer road to riches – enough to pay for the most lavish tombs in Bologna – and in the Church, a legal education was the best guarantee of career advancement. In the heyday of the medieval papacy most of the popes started their careers as canon lawyers. Alexander III (1159–81), one of Bologna’s four popes, had been a University glossatore; another alumnus, the great Pope Innocent III, may well have been one of his students. Even Thomas Becket, future Archbishop of Canterbury, spent five years in the 1140s studying his glosses in Bologna. Irnerius’ major contribution was a gloss of the Code of Justinian; in other words, he wrote explanations of the difficult points in the margins, along with recommendations of how these 500-year-old laws would apply to modern cases. His successors, who came to be known as glossatori, naturally carried this erudite pettifoggery to its logical extreme. By about 1250 ambitious doctors were not only writing glosses, but glosses on the glosses, each identified with the doctor’s initial, and occasionally someone would add glosses on these. One scholar complained that the glosses were like a ‘multitude of locusts’ that literally covered up the text; in this age of expensive hand-copied books, only when all the space on the pages was filled would a new copy be commissioned. 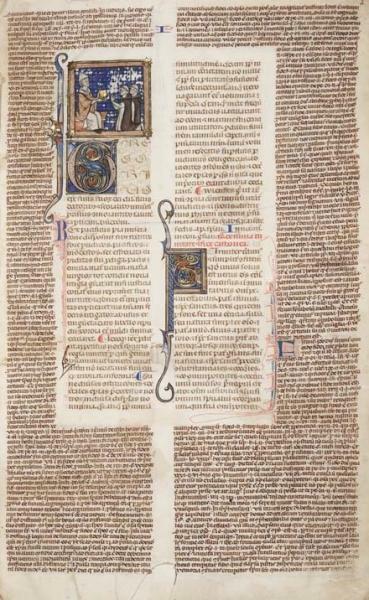 One of the doctors entombed in San Francesco, Francesco Accursio, helped put an end to the confusion with his Glossa Magna (1250), a commentary so comprehensive and trenchant that it made the earlier ones obsolete. Whatever we think of lawyers, some respect is due for an effort that has been called ‘the most brilliant achievement of the intellect of medieval Europe’. That intellect, with its passion for order, definition and classification, its reverence for the written word and its relentless chains of logic, eventually made philosophy and science into hidebound scholastic nightmares. But for the law, it was perfect. It sharpened arguments and minds, and turned reason loose on the practical things of this world; some have claimed that it was the greatest factor in setting western civilization on its dizzying trajectory over centuries to come. For better or worse, the processes and patterns of thought for that civilization were made in Bologna.